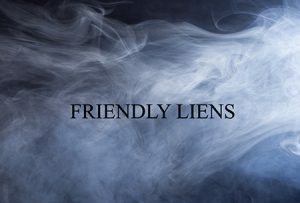 I’ve been recently receiving a number of questions regarding the use of “Friendly Liens” – as means of asset protection. If you’re not familiar with the term, it refers to a lien against property you own, typically real estate, held by a party who’s friendly to you. The “friendly” party in this case, might be a corporation or an LLC that you’ve created in a jurisdiction (such as Nevada or Wyoming) that allows the use of nominees to mask your involvement with the business. The objective of the lien being to discourage potential predators — e.g., creditors — from pursuing the property because of a lack of equity. Simply put, the property is encumbered, thus it’s under an obligation that makes it less attractive. If the numbers don’t “work” predatory attorneys are less likely to pursue litigation and more likely to accept less for a settlement. While validly recorded and executed, liens do have great deterrent power against creditors, however they have to be backed by a real exchange of value. That said, if you’ve set up a Wyoming LLC with your friend that holds a lien on your home for most of its value, there had better be documentation available to support the exchange or “consideration” received – roughly equal to the amount of the lien. Bottom line: don’t claim your LLC loaned you a million dollars when, in fact, it didn’t! Not only will the creditor take the property, several states consider the act of “offering a false instrument for recording” a criminal offense. Even in civil courts, filing a false lien is referred to as “slander of title” and will result in substantial fines. Another challenge that you might face if you were to file a “friendly lien” without reasonable consideration, is that you are probably running afoul of your state’s fraudulent conveyance laws. Under these laws, a transaction that is taken to hinder, delay or defraud creditors can be declared void. That is fancy language for saying the transaction can be unwound. Moreover, the IRS doesn’t look too kindly on individuals utilizing “friendly liens” to prevent or delay the levying of fines against the individual’s real estate. Personally I wouldn’t suggest this strategy unless you look great in orange. Remember, you are filing a legal document with a government agency saying there is a valid lien against your home. 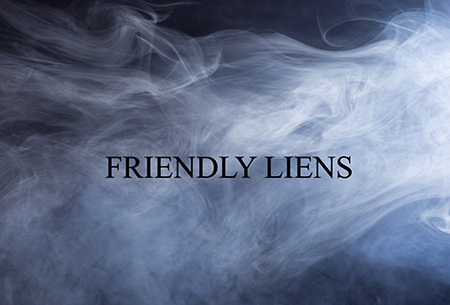 Although there may be occasions where the “friendly lien” is a legitimate strategy for protecting property, in the majority of cases it is merely a smokescreen. It won’t protect you against creditor collections; to the extent that you have not actually borrowed funds from the LLC, the “friendly lien” becomes a meaningless document and will be ignored. It is important to understand that the fundamental purpose of the legal tools employed in asset protection planning is neither to hide personal or business assets nor to deprive the U.S. Government of taxes derived from the income earned on those assets. Rather it is to shield assets from unforeseen attacks by dubious creditors or plaintiffs. State laws, Federal laws, insurance policies, trusts, limited partnerships, and limited liability companies will each provide some benefit, but separately cannot protect ALL assets. Vulnerable assets can be protected through the utilization of a comprehensive plan. This often includes an Asset Management Limited Partnership™ (AMLP) together with a carefully crafted Bridge Trust®. Collectively these tools provide a significant shield for your vulnerable assets, keeping them safe and out of the grasp of predatory creditors. Each Integrated Asset Protection Plan is customized to our client’s needs. Crafted by attorneys at Lodmell & Lodmell, these legal structures are designed to preserve and protect your wealth. The best way to determine if your assets are at risk and the legal options available to protect them, is to schedule an Asset Protection Analysis. We will provide a conﬁdential review of your ﬁnancial resources, including your risk level, asset classiﬁcations, and personal objectives. Taking control of your own ﬁnancial, estate and asset protection planning is critical to your peace of mind. Let us help you gain that peace of mind. Please call 800.231.7112 to schedule your analysis. I’m a little confused. I live in California and my plan is to create a friendly lien to create a smokescreen for anyone that doesn’t out asset search. Can I create this smokescreen by doing an LLC for example in Las Vegas and by creating a llien. Or am I creating a slander of title issue and it’s just something that’s not legal.